Overweight and obese prostate cancer patients are often advised to lose weight prior to surgery for the treatment of localized forms of prostate cancer. But is this really, always, a good idea? A new paper by Demark-Wahnefried et al. in the British Journal of Cancer has called this into question. 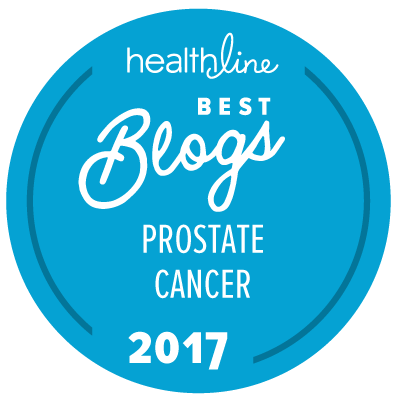 Now to be very clear, we do know that obesity may well be a significant risk factor for aggressive prostate cancer. But we don’t actually know that pre-surgical weight loss (and most particularly rapid weight loss over just a few weeks prior to surgery) necessarily improves outcomes of patients undergoing radical prostatectomy for localized prostate cancer. Denmark-Wanefried et al. carried out a small, randomized, pilot study to see what they could learn about the effects of rapid, pre-surgical weight loss on biomarkers related to outcomes of treatment for prostate cancer. The entire program lasted just 50 days. Expression of several genes was upregulated (e.g., CTSL, GSK3B, MED12, and LAMC2). Intentional weight loss shows mixed effects on circulating biomarkers, tumour gene expression, and proliferative markers. More study is needed before recommending weight loss, in particular rapid weight loss, among men with prostate cancer. The results of the study are not what they had expected (which was a decrease in the Ki67 levels among men in Group A as opposed to Group B, when they actually saw a significant increase). The study findings should be interpreted with caution and but they do support earlier observations suggesting an “obesity paradox” in cancer. It may well be that the benefits of weight loss do indeed outweigh the possible threats to cancer control suggested by the increase in levels of Ki67, but it is clear that more research is going to be needed in this area, and that there may be real risks associated with rapid weight loss prior to surgery for men with prostate cancer. Makes perfect sense to me. If obesity is associated with increased risk I would assume it is the free nutrients that are available to cancer cells not the stored stable components. Weight loss (and I would expect rapid weight gain, say from the depression of having cancer) would be expected to increase the free components. In terms of trying to incorporate the results of these types of studies into a patient’s daily lifestyle habits (try to exercise and maintain a healthy weight), they are certainly perplexing. Another “obesity paradox” study, which might have been commented on by Sitemaster, was recently reported at the 2017 Genitourinary Cancers Symposium in Orlando, Florida: “Higher body mass index (BMI) is independently associated with improved survival of patients with metastatic and castration-resistant prostate cancer (PCa)”. Very counter intuitive. I am starting to seriously wonder whether obesity is a goal to achieve (not).